Home > > Executive and Employee Awards, Gifts and Desk Accessories > Gavels and Gavel Sets > ROSEWOOD PIANO FINISH GAVEL AND BLOCK WITH BRASS ENGRAVABLE BAND 10 INCH GAVEL 4 INCH BLOCK. INDIVIDUAL BOXES. Item Description: Rosewood piano finish gavel and block with brass engravable band. 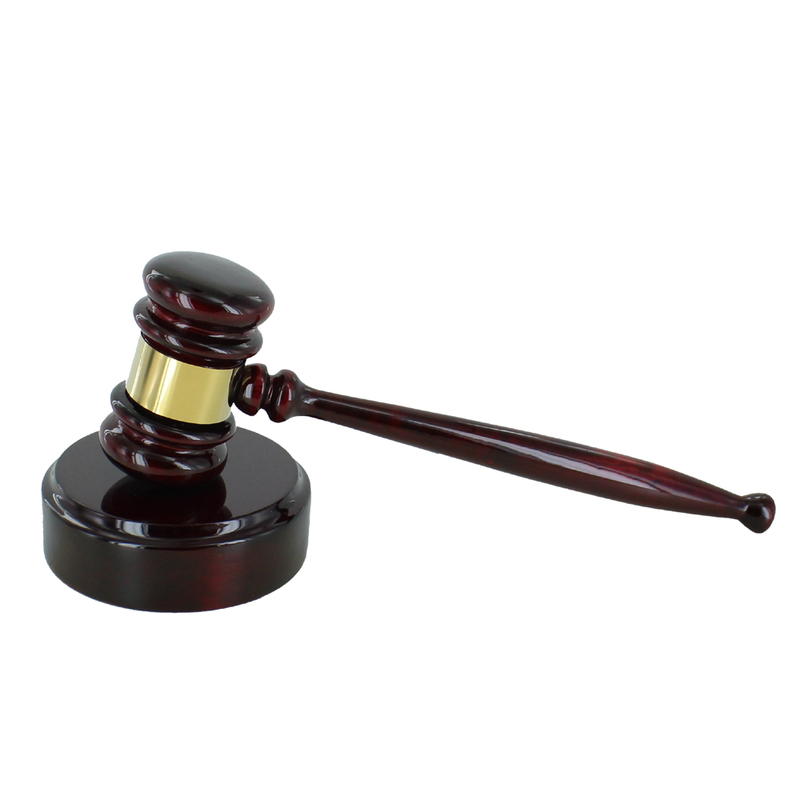 10 inch gavel 4 inch block. Individual boxes. Engraving Options: Engraving is available for maximum of 2 lines of text only. Engraving info for 5 pieces or more, use Upload link below.